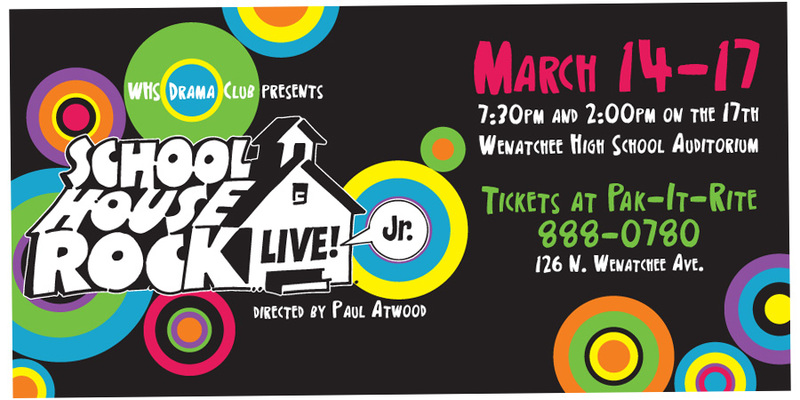 The Wenatchee High School Drama department is just about ready for their Spring performance of School House Rock Live. Going to be a fun, silly, happy musical and definitely worth catching! I do the design for all their marketing/advertising materials and it's always fun to have a sneak peek of what they're up to. Don't miss it! Tickets available right now at Pak-it-Rite.